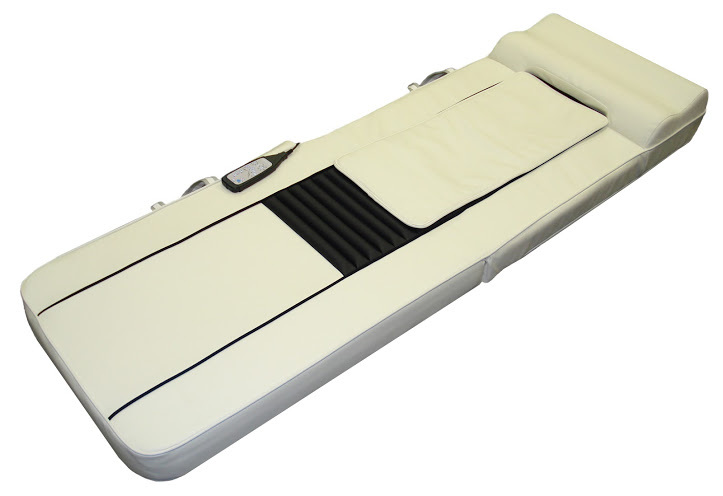 Don't be afraid of being luxury, bring home with this handcrafted Italian classic full body reflexology massage mattress. This mattress features a moving mechanism of shiatsu massage for lower back and vibration massage for full body in 4 reflex zones. Combined with jade heating therapy, it gives you a full body synchronization with the most comfortable relaxing massage. 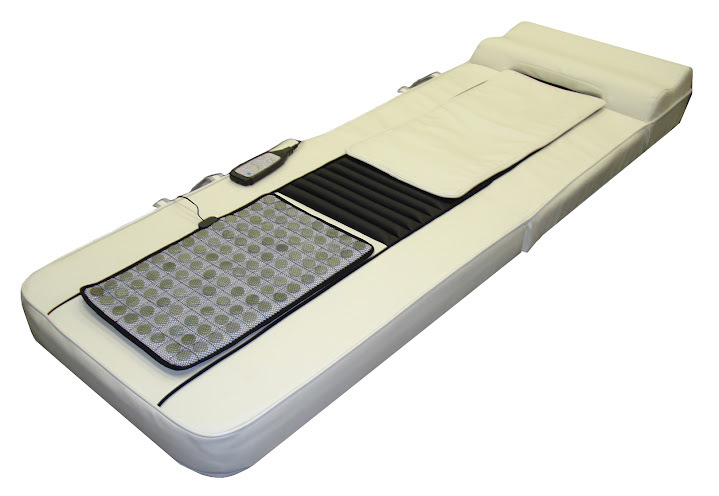 It has built in comfort shiatsu massage with 4 massage nodes ergonomically traveling up and down of lower back and around its spine, which brings you the most enjoyable deep-tissue relaxation. The 10 powerful vibration massage motors located in 4 different reflex zones are professionally designed according to human vertebral physiological curve. 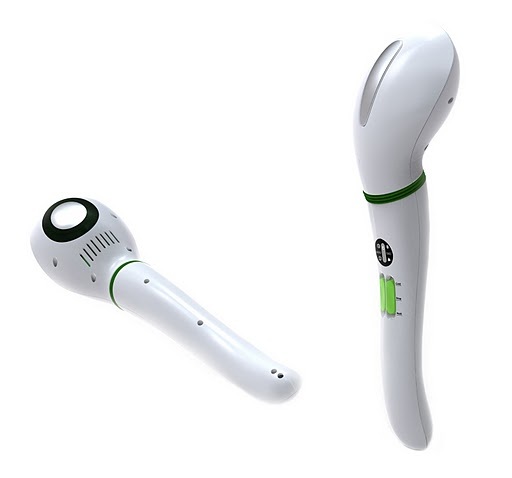 It has 4 selective massage intensities and 6 massage programs. With the jade heating therapy that helps stimulate body circulation and speed up muscle tension relief, it can effectively penetrate thermal energy deep into targeted areas and relieve your lumbar soreness and weary muscles all over your back and to your whole body. The Full Body Synchronization concept allows you to massage your head, back, lumbar, legs and calves all at the same time; nevertheless, the shiatsu massage, vibration massage, jade heating therapy can work simultaneously or individually. This massage mattress is made of high quality soft-touch leather. 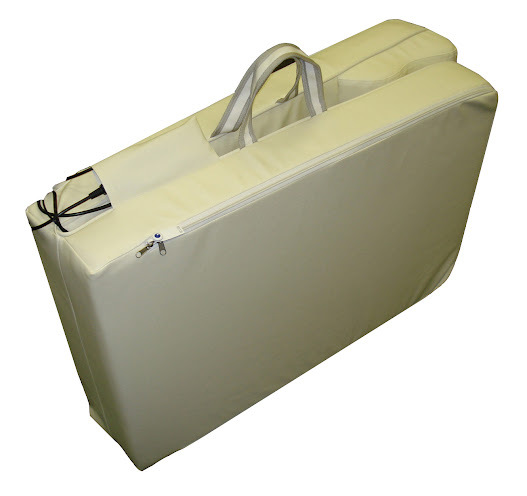 It is fully assembled and yet foldable and portable, ideal for use at home for therapeutic massage. Comes with deluxe carrying bag. 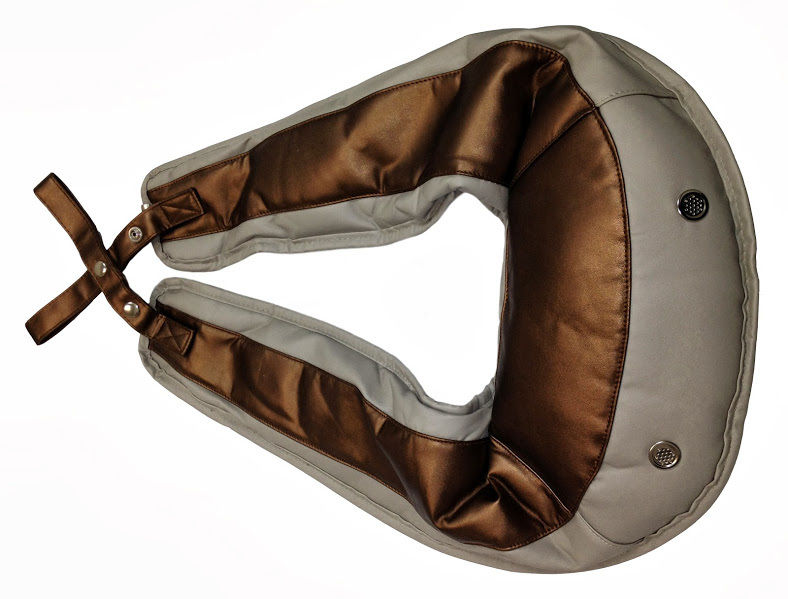 Comfort shiatsu massage with 4 massage nodes, ergonomically traveling up and down of lower back and around its spine. 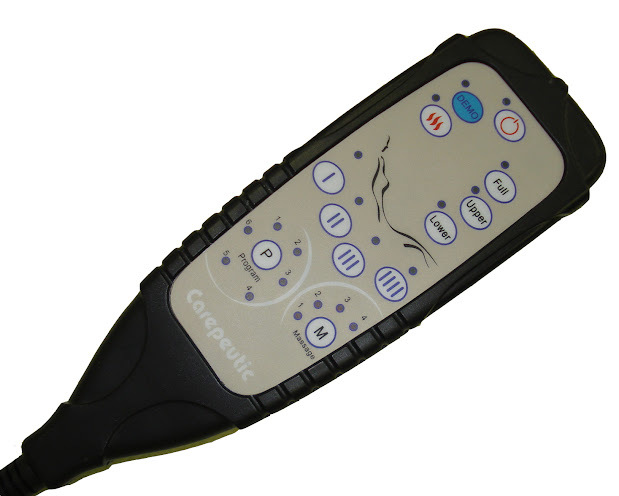 10 powerful vibration massage motors located in 4 different reflex zones and each massage zone can be activated together or individually. 4 selective massage intensities and 6 massage programs. Jade heating therapy helps stimulate body circulation and speed up muscle tension relief. Full Body Synchronization concept effectively penetrates thermal energy deep into targeted areas and relieve your lumbar soreness and weary muscles all over your back and to your whole body. The shiatsu massage, vibration massage, jade heating therapy can work simultaneously or individually. Handcrafted, made of high quality soft-touch leather. Fully assembled and yet foldable and portable. Bring you the most comfortable deep-tissue relaxation and relieve your weary, painful and fatigue muscles all over your body. Deluxe polyester carrying bag included. With high quality density foam (25KG/cubic meter). With detachable leather cover pad on upper back. Auto timer: 15 minutes. Power off automatically after 15 minutes of massage. Powered with UL certified AC adaptor (included). Product size: 74.8 x 24 x 4 inches (unfolded). Full Body Synchronization, shiatsu massage, vibration massage, jade heating therapy, penetrating thermal energy deep into targeted areas and relieve your lumbar soreness and weary muscles all over your back and to your whole body. Detachable jade heating pad. 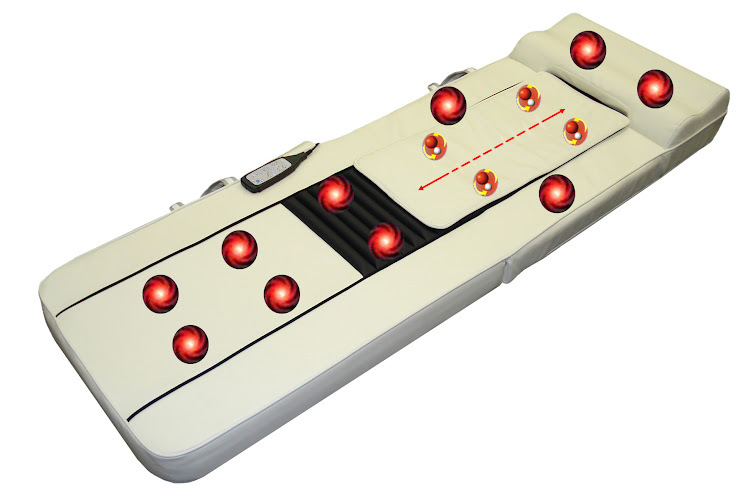 Comfort shiatsu massage with 4 massage nodes, ergonomically traveling up and down of lower back and around its spine. 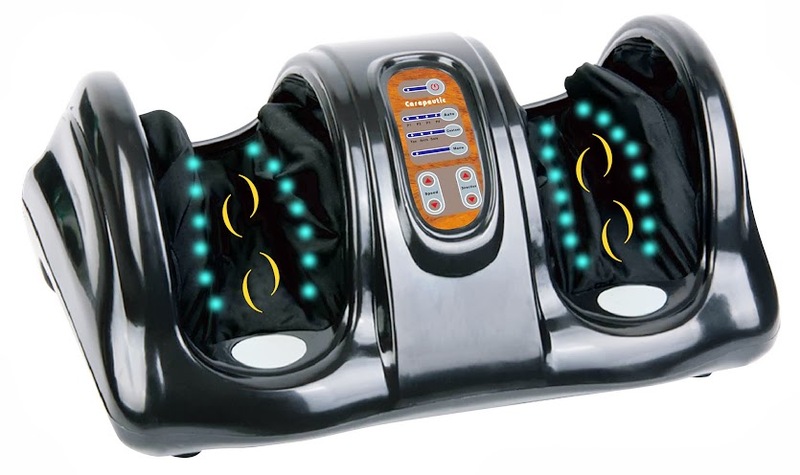 10 powerful vibration massage motors located in 4 different reflex zones, with 4 selective massage intensities and 6 massage programs. 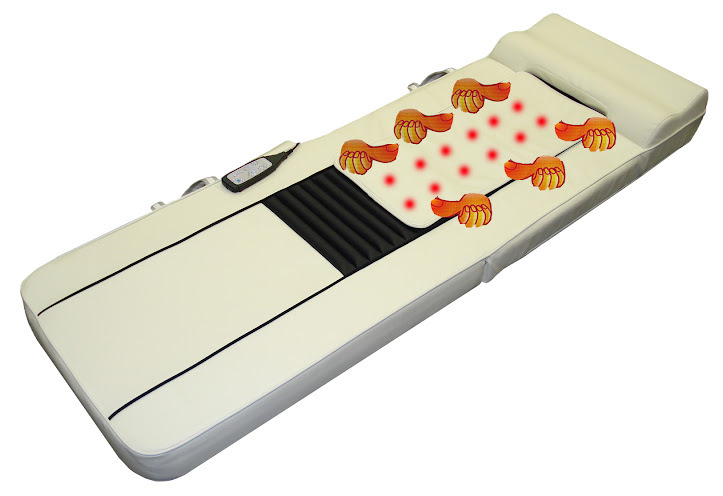 Each massage zone can be activated together or individually.